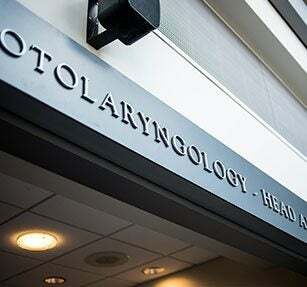 The department evaluates approximately 13,000 patients per year in the otolaryngology outpatient clinics and perform nearly 1,700 hospital-based surgical procedures annually.The Department of Otolaryngology – Head and Neck Surgery provides care for patients with problems involving the ears, sinuses, oral cavity, nose, throat, neck (ENT) including sinus conditions, allergy, sleep disorders, and snoring. 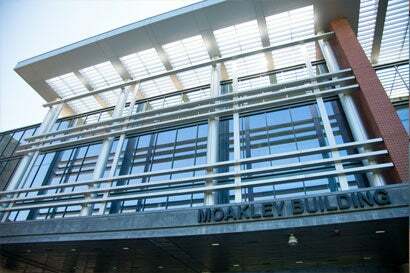 The department also specializes in swallowing disorders, voice problems, dizziness and balance disorders, and hearing loss, cancers of the head and neck and the division of Facial Plastic and Reconstructive Surgery offers cosmetic surgery and management of facial deformities and facial fractures. Our physicians are making headlines in local news. Now offering extended hours Monday and Wednesday evenings!